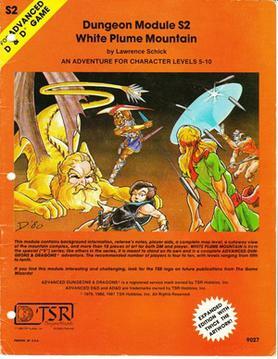 So I was an avid Dungeons and Dragons fanatic from about 1980 to somewhere in the early 1990's. As my typical group of friends that I spent long nights and even longer weekends with prowling such nefarious adventures as the Isle of Dread, White Plume Mountain, and Queen of the Demonweb Pits started to hit our 20's and eventually began going off to college, finding jobs and spouses, and generally growing up, we just stopped rolling the dice. In that last half of the 80's, computers really started to take off as well, and I got pretty distracted overall with that explosion, which took me away from pen and pencil and tabletop gaming. Interestingly I have found myself making a full circle return to the kitchen table and the local game store over the past three or four years. After I had moved beyond just dabbling in miniature wargaming, I found myself looking over from the Warhammer tables at my favorite game store (Total Escape Games) to the little room in the back where role-playing games and gamers were sallying forth with the exploits of brave fighters hacking and slashing their way through hordes of goblins, arcane magic users releasing fireballs from their hands to blast holes in the advancing ranks of ogres, sneaky thieves hiding in the shadows and backstabbing the troll that just walked into the cave, and righteous clerics curing the wounds of their fellow adventurers while turning and banishing a bevy of undead skeletons with their holy presence. 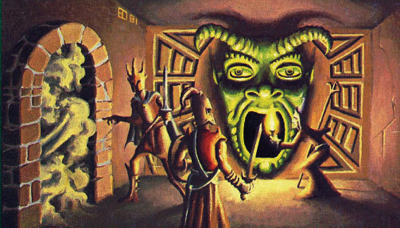 Something in me began longing to join that room and pick up a pencil, add some dice to my dice bag that had other shapes besides six-sided, and go crawl around in some musty and forgotten underground structure. However, after a bit of internet research, I discovered, both to my amusement and some dismay, that D&D had changed dramatically since I had been rolling d20's. 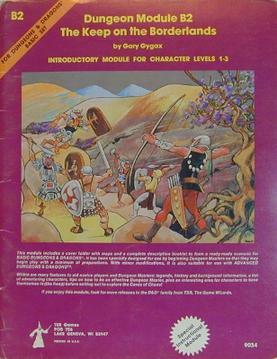 To keep a long story short, what I had been playing back then, starting with 'basic and expert' sets of D&D and advancing to 'Advanced Dungeons and Dragons' was now known as 'D&D 1e' (1st edition), and there had been 2e, 3e, 3.5e (yea, I thought that was weird too), and now 4e, not to mention some other systems that had become a part of the D&D multiverse, such as Pathfinder. (See my upcoming This Week's Geek on the history and state of Dungeons and Dragons for more.) All that made me feel pretty old, as being one that played 1e and had no serious understanding of the e's that came after mine. Suffice it to say, I caught up to speed pretty quickly. The real long and short of it was that 4e, the most recent and current iteration of Dungeons and Dragons, was not just an update and refinement to the original game, but an entire re-working of the system. One would think that this was a good thing, but in many ways it hasn't been. 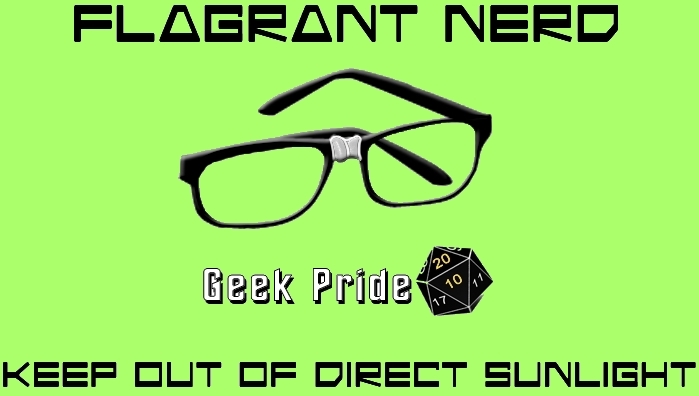 Interestingly enough, the whole affair caused a rather enormous rift in the audience of dedicated D&D gamers, and there are now two distinct camps...those that like D&D 4e and those that don't and play the earlier editions. As with all things these days, the vehemence and flaming hatred between the two groups is appalling...so much so that the future of D&D seems grim. So in an attempt to bring us all back to the table and let us play again, Wizards of the Coast (owned by Hasbro and who currently publishes D&D) has now begun to develop D&D Next (which is already being called 5e) and will be the next iteration of D&D, very possibly the last, and is intended to correct what some call the errors of the 4e debacle (of course there is a large camp that says there's nothing wrong with 4e in the first place, but again, see the future D&D post for this discussion). The very coolest part of this upcoming release of D&D Next (IMHO) is that Wizards is using us, the players, to test out and suggest changes and modifications to D&D Next during it's development phase. And so, the D&D Next/5e play test has been going on in the basements and kitchen tables of the gaming world for a few months now. You then get together with your gaming buddies and play through the Caves of Chaos module using the playtest rules and the pre-made characters. After getting through it, Wizards will ask everyone (players, DM, etc.) for feedback and play notes. According to Wizards, there will be more playtest materials released and D&D Next/5e will adapt to what we, the players of D&D, want. Again, there is much discussion as to what this actually is since everyone wants what they want, not necessarily what everybody wants, (this too will be discussed in more detail later), but suffice it to say that what D&D Next/5e is designed to do is to form some sort of system in which we can all play based on the way we like to play, that is fans of 1e, 2e, 3e, 3.5e, and 4e can somehow still incorporate the elements of those versions into their own games using the Next/5e umbrella structure. So...how did the first round of playtesting go? Frankly, I had a ball. I had contacted a friend of mine (Marc) that I met through another friend who knew we were both big gamers, and let him know that I'd be interested in trying out a 5e playtest session if his group of RPGer's was getting one going. Marc got back to me this past week and said they were beginning to playtest the Caves of Chaos on Sunday and I was welcome to join. After some last minute location discussion, I met at the house of one of the other players, introduced myself to the guys I didn't know, and we sat down at the dining room table. Suddenly, I was hooked again and it felt just like I remembered in the 'old days.' We discussed the background world that the DM decided to fit the Caves of Chaos into, took our assigned characters (I took the human cleric, which I named Benedictus - Ben for short), and off we went. We ate pizza and potato chips, drank sodas, rolled d20's with gusto, and made crude jokes about who was going to try and bed the female dwarf that was in the surveyor's group that we had been hired to protect while they explored the path and headwaters of this river. Before the night was over we were beset by a small company of kobolds that indicated this was their territory and we were trespassing ('f@#$ing kobolds' I pseudo-complained to the raucous laughter of my new found weekly D&D group, 'every damn beginner module has f@#$ing kobolds' ). I'm addicted once again to the world of pen and paper role-playing! 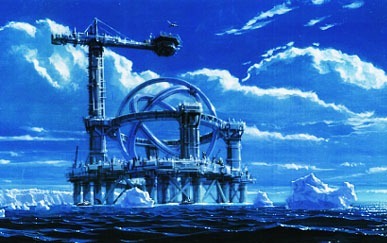 We are meeting weekly on Sunday nights to finish playing out the playest module. The Caves of Chaos await, and 'ware any monstrous creature that dares to stand in the way of our surveying party as we make our way up the river. 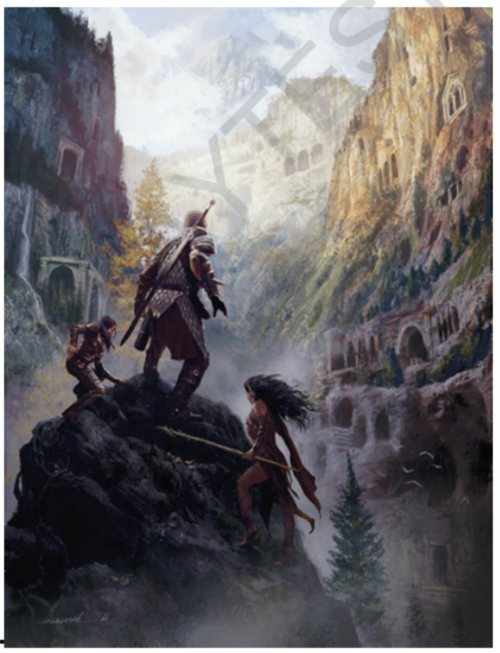 There are dark and evil dungeons to explore, foul and smelly monsters to slay, fair dwarven maidens to protect (and possibly ravish), and fabulous riches to plunder. However, I may need to replace that one d20 that kept rolling so craptastically before next Sunday night...damn cursed dice. "RIP Donald J. Sobol Encyclopedia Brown was my Harry Potter." Just read this twitter post above (via @biorhythmist) a few minutes ago as I was reading about Sobol's death. It pretty much sums it up for many of us 30, 40, and 50ish types. I remember scouring my elementary school library and waiting eagerly for the RIF (Reading Is Fun - actually I believe it's 'Fundamental' now...but I swear it was just 'Fun' back in the day) program each year so I could order more Encyclopedia Brown books for virtually pennies. I probably read at least a dozen of the E.B. books as a kid...and arguably the kid mysteries based on factual and often scientific solutions lead me to many, many more books. For the uninitiated, Leroy 'Encyclopedia Brown' was a boy detective (who had his own detective agency in the garage) that would solve mysteries for kids in the neighborhood for '25 cents plus expenses.' Often these cases involved some sort of wrongdoing or nefarious action by the local bully Bugs Meany and his gang the Tigers. Typically, one or two of the stories in each book involved Encyclopedia helping his father, the local chief of police, solve an actual crime over the dinner table...even occasionally visiting a crime scene with his father. Another regular character was Sally, Encyclopedia's friend and interestingly the only kid in the neighborhood who would actually stand up to Bugs and his gang of bullies and often acted as bodyguard to Encyclopedia. Sally's pretty smart too, and often solves a few cases herself that Encyclopedia doesn't, often because 'You are a boy' and Sally sees things that a boy may not. The beauty of Encyclopedia Brown was that the reader got the chance to solve each mystery (usually about 10 mysteries per book...each just a few pages long) on their own. Typically there was some bit of factual evidence or logical puzzle to solve (such as lobsters are blue rather than red before they are cooked, and a person typically falls forward when they faint rather than backward) , and the answers to each were in the back of the book. Aside from the fun of trying to figure out each mystery, the E.B. books also gave out quite a bit of facts and logical puzzle solutions, which was in many ways the beginning of all the useless piles of trivial knowledge that I seem to have stored away over the years. 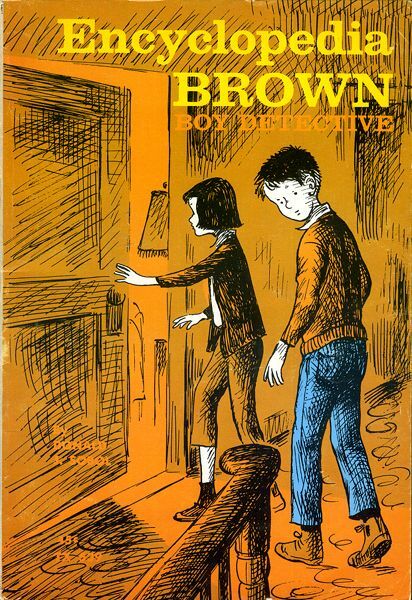 As an adult, I actually used many of the mysteries I remembered from Encyclopedia Brown in a daily trivia game I called 'Dragon Mystery Theater' for contests I set up for some of my employees when I was still in the restaurant biz. According to Wikipedia, there were some 28 books in the original series, some 10 other books of facts and trivia based on Encyclopedia Brown, a comic strip that ran from 1978 to 1980, and an live action HBO Series that ran in 1989 with 30 minute episodes. Sobol was awarded a special Edgar award by the Mystery Writers of America for his work in Encyclopedia Brown books. The books are now reprinted by Penguin with updated illustrations. Could An Alien Virus Be Downloaded by SETI? It's kind of an interesting article and a pretty good read from io9.com regarding whether or not the SETI (Search for Extraterrestrial Intelligence) or METI-type (Message to Extraterrestrial Intelligence) projects could possibly download a malicious virus from an extraterrestrial source. While we're all familiar with Carl Sagan's Contact (the movie version of which was a so-so flick but the actual book is great! ), there actually have been ideas of this sort going back to the 1960's (the article mentions A For Andromeda and His Master's Voice). io9 talks to two experts on the subject of SETI, Andrew Siemion, a PhD candidate in astronomy at SETI-Berkeley, and Milan Cirkovic, Senior Research Associate at the Astronomical Observatory of Belgrade and a leading expert on SETI. Give it a gander...it's some interesting stuff...though I fear I am in more danger of some damn teenager in China hacking my Xbox.com account (that actually happened, which reminds me, Xbox and Microsoft never refunded me the $50 he stole like they said they would) than I am of an alien from Alpha Centauri sending a trojan horse to my laptop. Some of the very best and highly acclaimed comic and graphic novel writing ever produced is about to get some very welcome additional material. 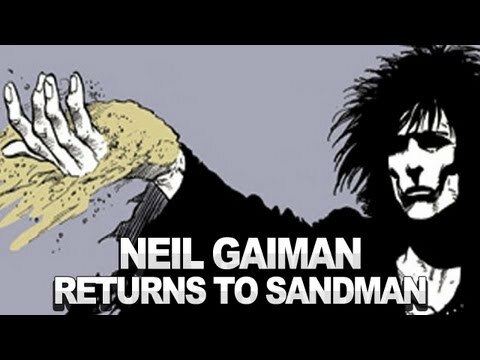 It's been some 16 years since Neil Gaiman added anything to the Sandman multiverse, and now he has reportedly announced an upcoming prequel to Sandman #1. 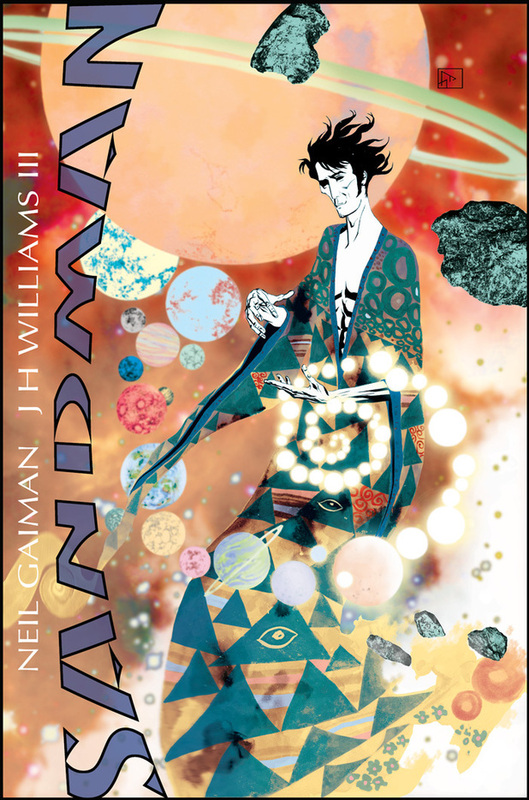 The Sandman series began with it's protagonist Morpheus, the living entity of dreams, being trapped in the plane of reality that we humans exist in. Over the course of many years, Gaiman produced what has been considered by many (yours truly included) to be some of the best graphic fiction ever to set ink to paper. Great post by Miscellaneous Miniatures on the new Allies Rules in WH40K 6th Edition...(yea that's right, for the uninitiated I said '6th Ed.' which was just released by Games Workshop a few weeks back. Time to roll out some $$ and pick up another $75.00 rulebook). Stephen Hawking lost his $100 bet. What is been hailed as a cornerstone of modern physics has been confirmed. The Higgs boson particle, often referred to as the "God Particle" and one of two sub-atomic particles theorized in quantum theory to make up everything, has been found at the CERN Large Hadron Collider in Switzerland. Hawking had infamously made a $100 bet with Gordon Kane of Michigan University that the Higgs particle would never be found. Hawking suggested Higgs receive the Nobel Prize for confirmation of his particle; Higgs first suggested the existence of the Higgs boson 48 years ago and was personally told by the famous Werner Heisenberg (of the Heisenberg Uncertainty Principle) that Higgs 'didn't understand the rules of physics' as a 26 year-old physicist. Professional suicide was more the feeling at the time for Higgs rather than a Nobel Prize future. CERN has announced the discovery of a new particle which is consistent with theories about the Higgs Boson. Although they haven’t proven it is definitely a Higgs, there is little doubt in most experts’ minds that the sought-after particle has indeed been unearthed at last. Is this confirmation a big deal? Simply enough, yes! It's the last missing foundational piece of the Standard Model of Physics explaining what everything - you, me, the tree outside, and the Universe - is made of. So...the MMORPG I've been waiting 9 months for has finally launched! 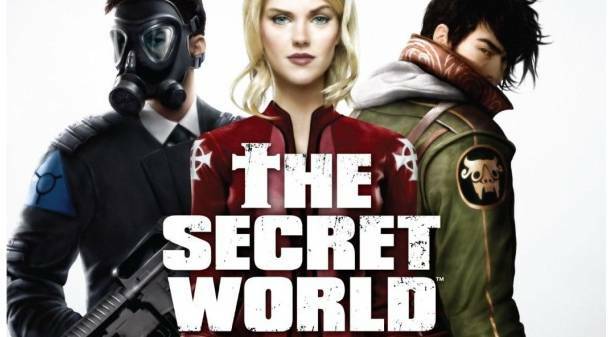 The Secret World is online, and I received my pre-ordered game in the mail from Amazon yesterday. Been a beta tester for the game since the closed beta began, and while I didn't get to spend as much time as I would've liked due to upcoming board exams and such, what I've seen served only to whet my appetite for more. My character, Jordan Black, joined the Illuminati in New York, and after some background information to set the mood I was in their training facilities picking up weapon skills (I went initially with swords for my primary weapon and enhanced it with some related power ups) and learning the ropes of combat. Then, a lower level Illuminati agent sent me to Kingsmouth Island, a Lovecraftian-themed setting where zombies were running rampant and there were a ton of missions for me to complete to help curb the horde of undead that threatened to overrun the creepy island. What can I say...I haven't posted much lately (again). Apologies...just that series of unfortunate events conspiring against the blog. Pretty much didn't have any 'net access in my room the whole week I was in Eastern Colorado teaching anatomy and physiology at that summer camp for kids interested in healthcare...and because of that I didn't get any studying for my board exams as I'd planned. So....I'm having to double up my studying efforts this week before I sit for the boards.